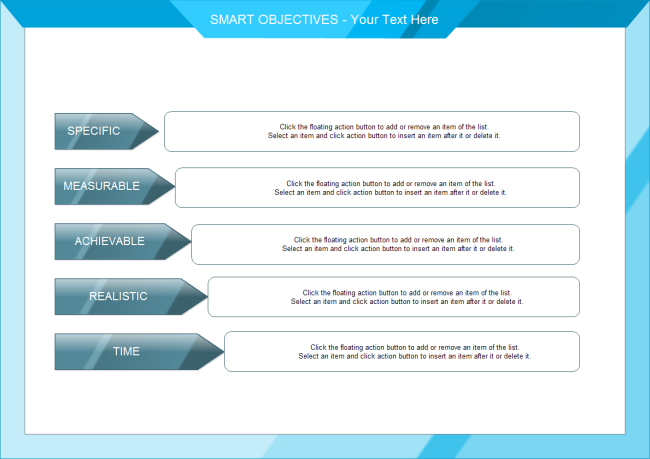 Description: A free customizable smart objectives template is provided to download and print. Quickly get a head-start when setting your own smart objectives. It helps people set smart objectives by checking with the standard of specific, measurable, achievable, realistic and time. Find more templates to make greater list diagrams in Edraw.